During the early 1900s hard hats were uncommon. 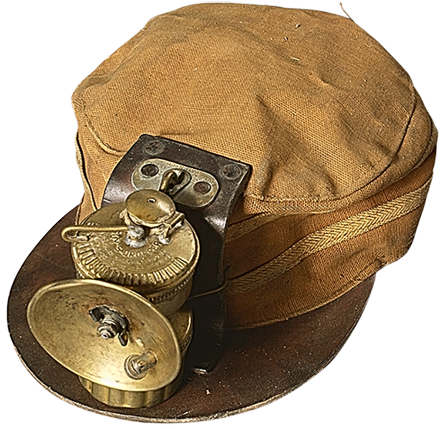 Most of the time miners would have worn a soft canvas cap like the one above or their everyday soft caps. By the 1920s, the lamps were of the “Carbide lamp” variety. A characteristic of the miners in the Coal War of 1920-21 was the red bandanna that was worn around his neck; it was a part of the revolting miner’s “uniform.” Not only was it used to identify one insurgent from the next, but it also helped unify the group. 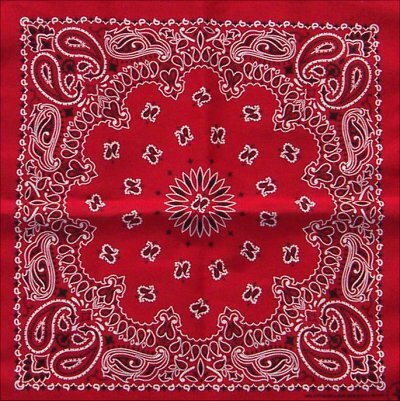 When people bring up the wearing of red bandannas, most people tend to be drawn to the fancy paisley patterns that are out there. 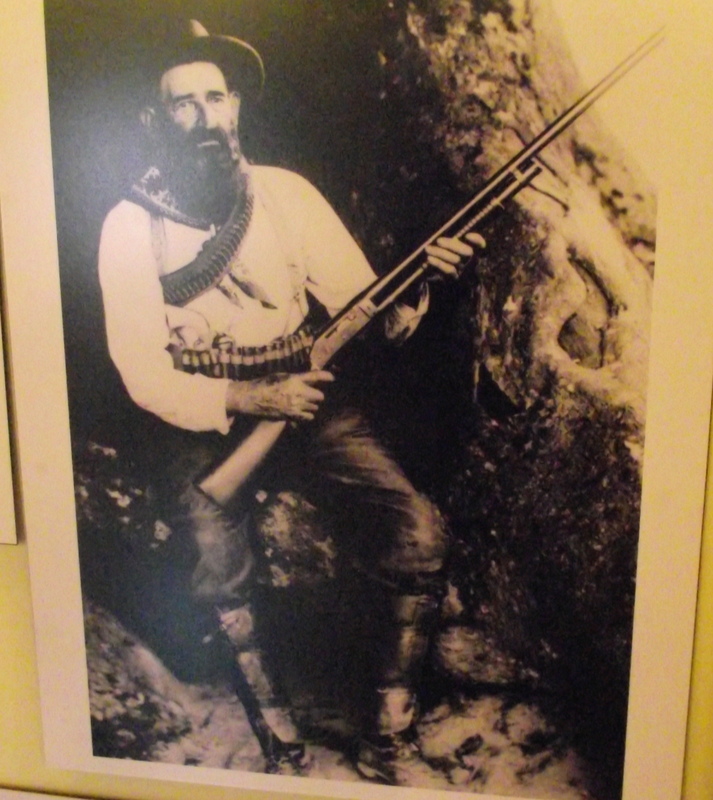 So the question is, where the miner’s handkerchiefs the “railroad” style or were they something else? This requires a quick look at the history of paisley. 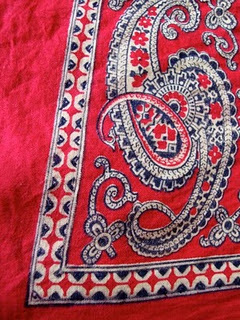 Though the recognizable paisley print pattern was originally crafted by Indian artisans, it was brought to Scotland in the early 19th century, where it received its name. Paisley print was named after the Scottish town of Paisley, where printed cotton and wool fabrics were heavily manufactured. 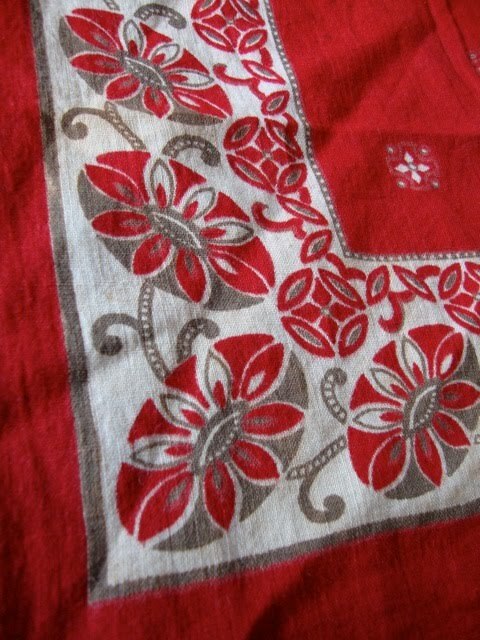 Paisley on cotton and wool in the 19th Century was major and by the beginning of the 20th century the paisley pattern was being printed, rather than woven, onto other textiles, including cotton squares which were the precursors of the modern bandanna. Being able to purchase printed paisley rather than woven paisley brought the price of the costly pattern down and added to its popularity. I don’t recommend using this style since it appears to have come out later than the 1920s. However, the paisley print, as we know it, didn’t see its first acclaimed popularity until when the Beatles decided to wear it during the “Summer of Love” in 1968. These styles are an example originals found in the 1800s-1930s. Proper styles should be made from old material, such as shirts that were no longer wearable or from scraps not used. 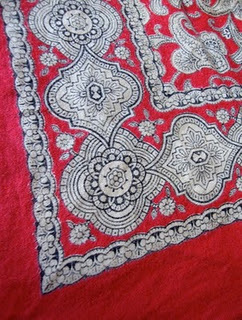 I’d recommend going with a basic solid red color made from wool or cotton. I’d recommend checks, non-railroad style paisley patters, or calico prints. Here is a slight update, this is one of the Hatfields from Matewan, WV in the late 1800s. Note that he is wearing a paisley neckerchief. Do keep in mind that the Hatfields were a colorful group, so they could afford fancier items; however, notice that it is different from the railroad ones you see in most shops. The earliest example I can find used within the US dates from the 1890s. The term had also been used in the 1600s to describe Presbyterian Scottish rebels by the British nobles just prior to the English Civil War. It seems that some historians say that with the large amounts of Scot and Scot Irish that moved to the south, the term stuck around. What I learned was that it’s from farmers that got sunburned on their necks from being out in the fields all day. It meant a poor farmer, because he doesn’t have field hands working for him, so he had to do it himself.